A range of cost effective on-site pocsag inhouse paging systems for local area paging in a hotel, factory, hospital, restaurant or other site requiring the ability to contact staff wherever they are in the facility or to enable communications between staff and customers. Our range includes paging transmitters and receivers, LED message signs and remote control equipment for turning things on and off. 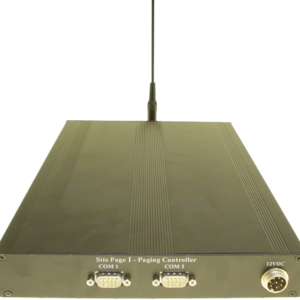 Low cost desktop pocsag paging transmitters available for numeric or alphanumeric paging. A hand held numeric pocsag paging transmitter which can hold up to 999 capcodes. A hand held alphanumeric pocsag paging transmitter which can hold up to 100 capcodes and 50 pre-programmed messages. Each message up to 40 characters.